My friend David Rhaesa left a comment on Lake Chalice about a week ago in which he remembered me telling him -- some nearly 30 years ago -- about "horizontal" versus "vertical" infinite regress. "Infinite regress" comes up whenever we are trying to explain or justify ourselves. We offer some kind of rationale, but then the rationale can be questioned, and we offer a defense of the rationale, and the defense can be further questioned . . . ad infinitum. David and I met at Baylor U, where, in 1984-85, we were both graduate students in communication studies. I took a number of classes in "argumentation" where we talked a lot about human justificatory devices for bolstering belief. I had the vague and vaguely unsettling sense that some of what my undergrad philosophy profs had been carrying on about might be relevant. So one semester I wandered across the quad to take a course, "Epistemology," in Baylor's philosophy department. The last reading assignment in the class consisted of two chapters from Philosophy and the Mirror of Nature (1979) by Richard Rorty. I was hooked. I read everything by Rorty I could get my hands on. 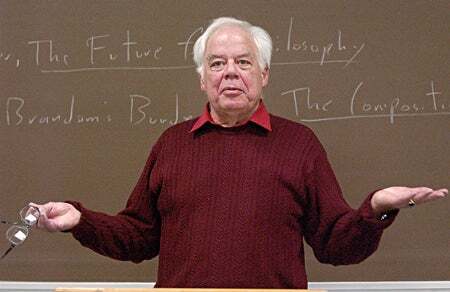 I wrote my thesis at Baylor on "Richard Rorty's Pragmatism: Implications for Argumentation Theory." 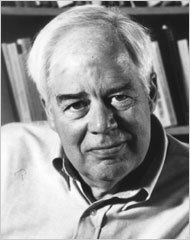 By 1987, after working a couple years as a speech instructor, I was enrolled as a PhD student at the University of Virginia, where Rorty was then on the faculty. 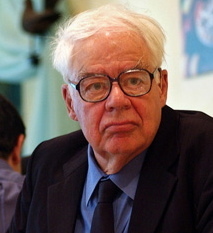 Richard Rorty (1931 - 2007) developed a distinctive and controversial brand of pragmatism that expressed itself along two main axes. One is negative—a critical diagnosis of what Rorty takes to be defining projects of modern philosophy. The other is positive—an attempt to show what intellectual culture might look like, once we free ourselves from the governing metaphors of mind and knowledge in which the traditional problems of epistemology and metaphysics (and indeed, in Rorty's view, the self-conception of modern philosophy) are rooted. I loved it: both the critique of philosophy's "business as usual," and the positive vision. And I loved that it was controversial enough to support my renegade self-image. For generations people have been told: Think for yourself; come up with your own independent worldview. Unless your name is Nietzsche, that’s probably a bad idea. Very few people have the genius or time to come up with a comprehensive and rigorous worldview. If you go out there armed only with your own observations and sentiments, you will surely find yourself on very weak ground. You’ll lack the arguments, convictions and the coherent view of reality that you’ll need when challenged by a self-confident opposition....If you want to defy authority, you probably shouldn’t think entirely for yourself. You should attach yourself to a counter-tradition and school of thought that has been developed over the centuries and that seems true. The old leftists had dialectical materialism and the Marxist view of history. Libertarians have Hayek and von Mises. And Meredith Garmon, age 25-35, had Richard Rorty -- along with the pragmatist tradition and others Rorty frequently invoked: William James, John Dewey, Ludwig Wittgenstein, Martin Heidegger, Willard Quine, Donald Davidson. "insist on the unavoidability of certain 'harmless' infinite regresses." "practice does not require the actualization of these potentialities,"
"look for something determinate underlying the indeterminate -- something of which the indeterminate is an epiphenomenon." "What did the little bastards think they were doing?" such as deconstruction, implied a particular (and leftist) politics. "to be itself indeterminate and to require the postulation of a still deeper lying determinate, and so on. Whether one thinks of this regress as going down in search of the Deepest or up the ladder of logical types in search of the Highest is less important than what I shall call the vertical character of both searches. This character consists in the fact that one looks at each new step as a transition to a new level -- a level which is a necessary condition for the existence of the previous step(s). That is, at level n one looks at the existence of level n-1 as possile only by virtue of n, which itself exists a se. Such a regress can be contrasted with what I shall call a horizontal one, in which each new step gives us something which is of essentially the same kind as what we had at the last, but something which renders the last step more determinate than it was. The relation between step n and step n-1 is thus not like the relation between creator and created, but like that between a mystifying book and a brilliant commentary on it; the book was there already, even though perhaps nobody could make much of it until the commentary came along. Nor would there be anything surprising in somebody writing a commentary on the commentary, and so ad infinitum. Movement along a horizontal regress lacks the sort of jolts we feel whenever we are forced to a new level in a vertical regress (the sort of jolt felt by the child when the question "Who made God?" first occurs to him) and it also lacks the sense of utter futility which grips us when we realize that we can always be forced to move on from any level of vertical regress. The reason a vertical regress can be condemned to futility...is that it attempts the impossible task of making determinate the relationship between the purely determinate and the purely indeterminate (resembling in this the task of explaining creatio ex nihilo, or the Concrete Universal). The reason why a horizontal regress cannot be destroyed by the same argument is that it takes the datum as it finds it, as a determinate indetermination, and realizes that all further steps will also produce determinate indeterminations which, while they can render the original datum more determinate, cannot, because of their own indetermination, render it perfectly determinate....The permanent possibility of practice is what renders harmless the indefinite horizontal regress of interpretation." Rorty never again -- in print, nor in speech in the many hours I spent in his classes and seminars -- invoked this distinction between vertical and horizontal. I asked him once whether he had changed his mind about it. He shrugged and said he hadn't. It just hasn't occurred to him to mention. Ever again. Guess he himself had moved on out that horizontal regress. I, however, still refer to the "vertical" and "horizontal" distinction. I'm in the business, now, of talking with people about God and "God" -- and what might be the meaning of the word, and what might be the meaning of the experiences which prompt them to use that word. It's hard (and necessarily must be hard) to say just what we mean. In these discussions, the phrase, "some sort of higher power," is likely to occur. When it does, I'm liable to say, or think about saying, something like: "Maybe the search for the true and the real isn't a matter of digging down for the deeper or climbing up to the higher. Maybe it's simply a matter of weaving a web of connections among our experiences and intentions, beliefs and desires, that are all at the same level. Maybe the process of discerning reality is horizontal rather than vertical. Maybe, that is, God -- or 'God' -- isn't so much a 'higher' power as a 'broader' power." Rorty himself made a rare venture into theology in this, his first essay, written back in the Mad Men era. Does it harm our relation to God if we realize the futility of understanding his relation to the world? To some men, this is indeed harmful; they may, for instance, cease to be able to pray. Such men are analogous to those who commit the classic reductionist error of expecting the results of analysis to exist prior to the analysis, and who take the ill success of an analysis to entail the irreality of the datum. But, as existentialist as well as pragmatist theologians tell us, such a realization need not be harmful (and may well be therapeutic). When Tillich, for instance, tells us that the task of theology is no more and no less than to "correlate" revelation with the culture of the times, and that revelation prior to such correlation is, in so far forth, indeterminate, he is saying that theological explanation takes a horizontal rather than a vertical form. But since theology is, after all, not the religious life but simply one (more or less optional) expression of it, this eternally indeterminate character of theological explanation is harmless. Looking back at Rorty's first essay more than 50 years after its publication, I'm reminded of Douglas Adams' Hitch-hiker's Guide to the Galaxy. The Guide's entry for "Earth," according to Adams' story, is one word: "Harmless." As the story progresses, one of the writers for the Guide submits an updated and expanded entry: "Mostly harmless." "The eternally indeterminate character of theological explanation is harmless."